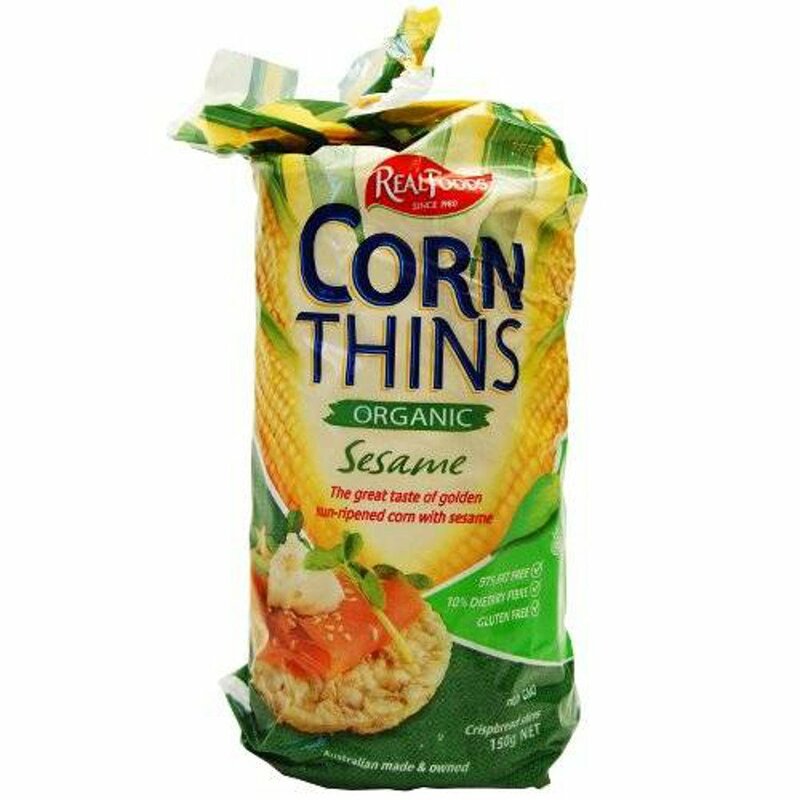 These Sesame Corn thins are made by popping grains of organic maize under high temperature with added sesame seeds. This process creates a wonderfully crunchy, tasty crispbread that has more dietary fibre per g than wholemeal bread. Savour on their own or with a sensational topping of your choice! The Real Foods Sesame Corn Thins - 150g product ethics are indicated below. To learn more about these product ethics and to see related products, follow the links below. There are currently no questions to display about Real Foods Sesame Corn Thins - 150g.